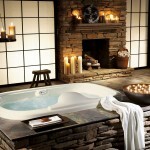 Japanese bathroom design is known as bathroom design which emphasizes the relaxation element when having a bath. 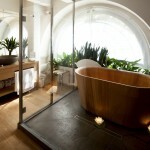 What is more refreshing than bathing in a warm and relaxing bath tub? Japanese sure knows its way on having a nice and relaxing bath. 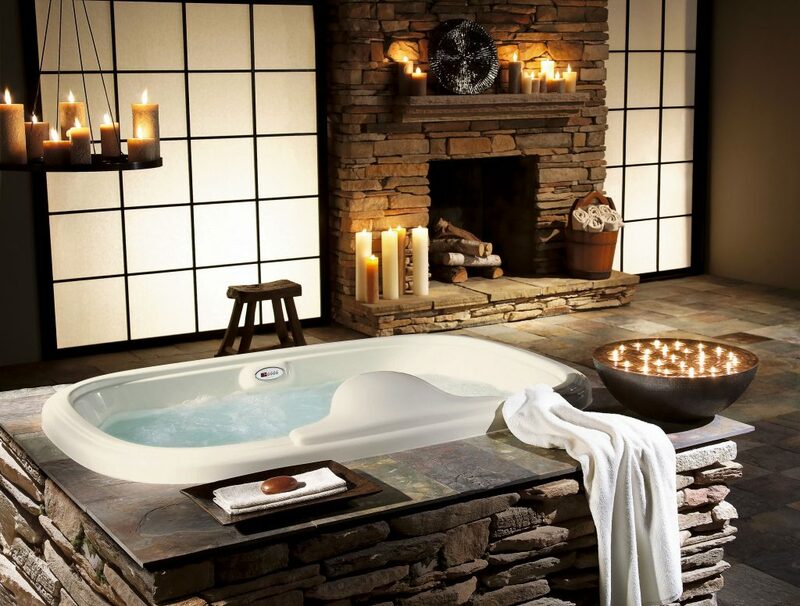 You don’t have to go to Japan to enjoy a relaxing bath. 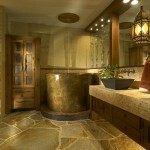 You can just look at your bathroom and start a new design. Once it’s done, you can get your relaxing bath on daily basis. 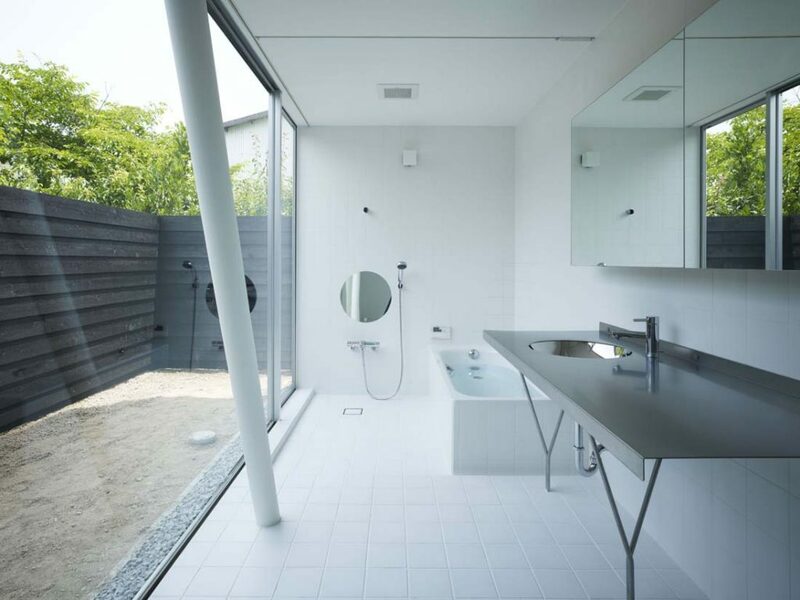 Your Japanese bathroom design should follow an important rule to make a healthy and comfortable bathroom. You have to separate the bathroom tub is supposed to be stand alone and separate it from sink and toilet area. 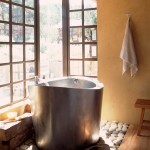 But, it is okay to fix the shower and put a teak stool near your tub. 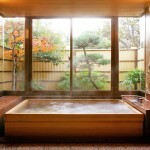 Japanese bathing culture usually rinse the body first before going into tub. Tub is a must for Japanese style bathroom because the tub will provide you the ultimate relaxation as you immerse yourself in warm water. 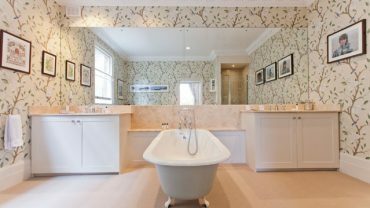 If you have pretty big space for your bathroom and make your bathroom screams Japan style each time you take a bath, you can have Japanese style bathroom spa by putting a big tub in the main bathroom area. 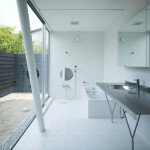 Japanese bathroom design will not be so Japan when you did not add Japanese style decoration on it. 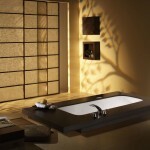 Adjust the decoration with the space of your Japanese bathroom. If your bathroom is big enough, then put a small cherry blossom tree to give you real Japanese feeling. Japanese decoration should leave an impression that it is handmade. Add Japanese style statue, plate, or wall decor. Also, put some wooden material as wall in complement with your concrete wall.